Let me first try and open up the title of this blog a bit. As already mentioned in the Intro, music has had a prominent role in my life for a long time. That role has changed quite a bit during the years from hobby to different levels of professionalism, studying, teaching, performing, composing, arranging, etc. on the practising side and reading, writing, thinking, discussing and lecturing on the academic side. In this blog I’m sharing my thoughts about music and life as I see/hear them based on my experiences in the above-mentioned areas and activities. Music continues to have a prominent role in my life and in many ways I tend to reflect on life through music and musical activities, as I hope to illustrate in this blog. What exactly I’m going to be writing about here is difficult to predict. As mentioned in the Intro, many of my writings are likely to touch some topics I have written about during my studies. In general, however, I’m thinking of picking topics out of e.g. gigs I see, music I hear and other related thoughts that pop up in mind head. While music generally provides the red thread along which my thoughts travel, I might take cues from other areas of interest as well e.g. films, other art forms, media, and culture in general. My approach to and thinking of such areas are, however, shaped by my musical experiences. This will hopefully become apparent in the upcoming posts. I’ve split my posts in four- often overlapping – categories: The Culture category captures most of my writings here. In these posts I discuss topics that are not restricted to music. The Gigs category is rather self-apparent; discussing performances and events I’ve attended. In the Musicians category I discuss specific musicians and in the Intro category you’ll find the introductory posts for the blog. Last but not least, the “Word” in the title doesn’t only refer to the words with which I express myself here. It’s also a reference to the “Word!” expression of a certain subculture (see Urban Dictionary) where it stands for truth. While I’m not proclaiming to possess any universal or final truths about music or anything else, nor the street credibility of the subculture in question, I do stand behind my words and weight them carefully before publishing. That being said, I’d be happy to hear of your thoughts and exchange views here! Review Roundup: BIG FISH at The Other Palace – What Did the Critics Think? In this blog I want to share some of my thoughts about various topics. Since my background is in music, its practice and theory, as well as thinking about it, my posts here are going to take music as a point of entrance to any particular topic at hand – or at least have a connection to music. My musical life began when I picked up the guitar at the age of seven. 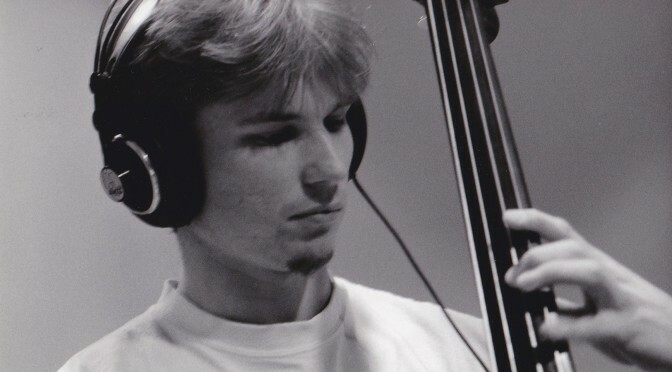 Later I moved on to electric bass and finally double bass, which became my main instrument. After finishing my jazz double bass studies at the Conservatory of Amsterdam I took on musicology at the University of Amsterdam in which I earned the Master’s degree specialising in Black music (or African American music, if you prefer). I continued this specialisation in my Art Studies Research Master’s studies. The latter also included research trips to Rome and New Orleans and especially from the latter I have a lot of material I’m going to make use of here. As my academic career so far has led to only one publication, many of my posts here will be of topics I wrote about during my studies. Additionally, I’ll write here about music I’ve heard – live and recorded – and the thoughts such performances have brought up. My interest in music is most importantly cultural and social; how music “works” and is used in different cultural and social settings by performers, audiences/listeners, promoters, authorities and various other agents. So rather than music theoretical analysis of performances I’ve witnessed or music criticism in the traditional sense, I’m more inclined to produce contemplative texts about the philosophical, phenomenological and perhaps ethical dimensions of music. I’ll try to post something whenever I get around to do so. There’s a comment link on top of every post. Please, feel free to use it! I’d like to hear your thoughts and engage in discussion. As the topics I discuss here are mostly not tied to specific time, such as the performance discussed or the time of posting, feel free to comment also on some older posts should you feel like you have something to say. Looking forward to some lively discussions! P.S. For more about this blog and the thoughts behind it, please see the next post (link below).